For the opening round of the 2017 season, three Ginetta G57-P2s are on site, run by Simpson Motorsport and new customer team Pegasus Racing. For Pegasus, it’s the team’s first run with its pair of G57s, which it plans to use for the full season. 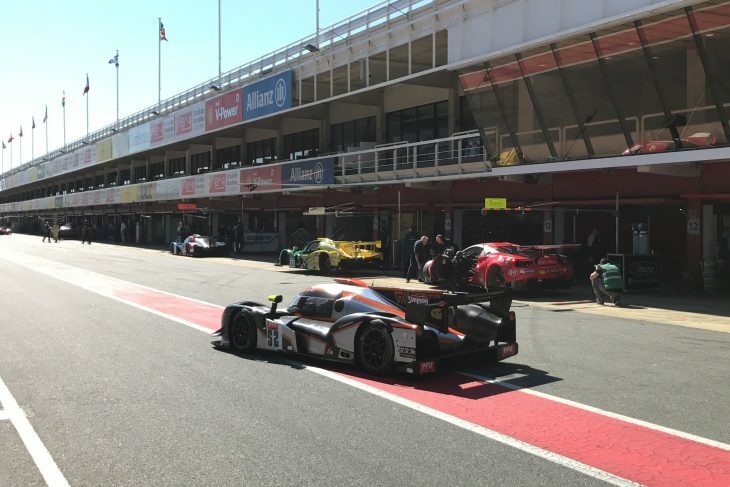 In the #29 team owner Julien Schell is set to race alongside Stephane Raffin, while a trio featuring factory driver Mike Simpson, Neale Muston and Jordan Sanders will pilot the #57. Simpson Motorsport’s car will be shared by Ginetta owner Lawrence Tomlinson, Charlie Robertson and Sennan Fielding, who moves up to prototype racing after narrowly missing out on the 2017 British F4 title. Reigning FIA WEC GTE Am champion François Perrodo is here this weekend getting some extra running ahead of his first season racing in the LMP2 class of the WEC. 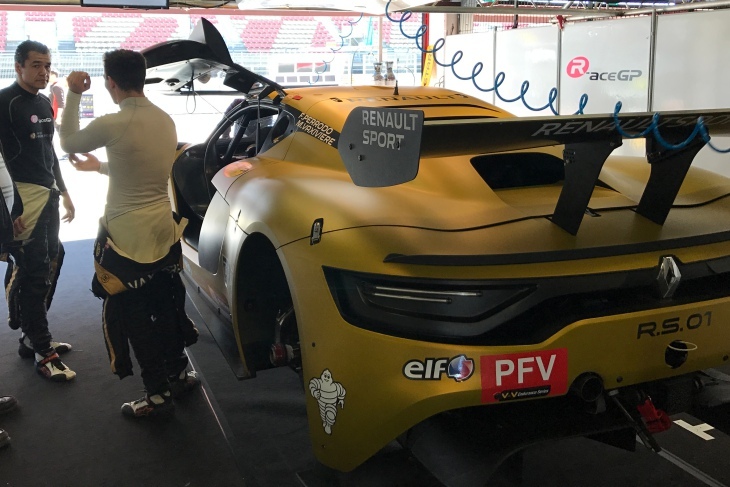 Here he will not drive a prototype, and instead will share a Renault R.S.01 Trophy-spec GT car with his WEC teammate Matteieu Vaxiviere. “I own the car,” Perrodo told DSC. “I bought it back in the day with the hope of running it a lot, before the LMP2 programme emerged. The car, which is roughly four-five seconds faster than the other GTs in the Endurance GT/Tourisme/LMP/PFV series, has been entered into the PFV category. It will therefore be up against the trio of G57s which make up the four-car class for the meeting. Multiple GT title-winning team Visiom is set to start it’s first full season with a Ferrari 488 GT3 after winning with it last year in it’s debut. With regulars Jean-Paul Pangny, Thierry Perrier and Jean-Bernard Bouvet driving the car here in Barcelona, the team will be aiming for a third straight GTV1 title, after a successful run with the Ferrari 458 GTE. 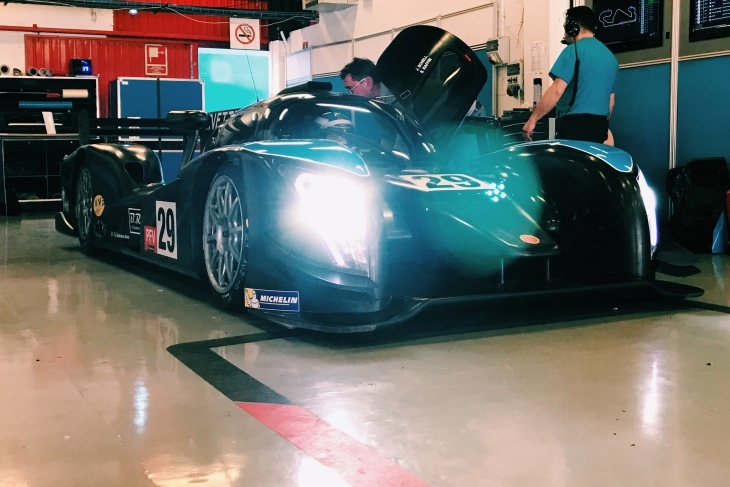 DB Autosport has arrived with its brand new Norma M30 LMP3, which will take part in the LMP3 class of the Endurance GT/Tourisme/LMP/PFV series. Driving the car will be Jean-Ludovic Foubert, Jacques Wolff and Nicolas Maulini as it competes in Europe for the first time just one day after it scored a podium in its global race debut at Sebring in the IMSA Prototype Challenge race. 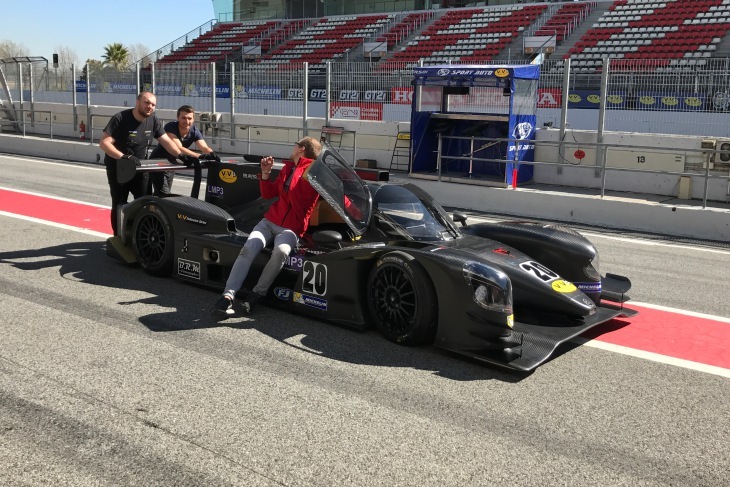 Competition is hot though in the LMP3 division of VdeV, with several Ligier JSP3s taking part, featuring familiar teams such as Euro Interpol, which races in the ELMS and won the VdeV title last year and fellow ELMS rivals Graff and Duqueine Engineering. In the first ever VdeV pre-season press conference, series organiser Eric Van der Vyver was keen to show off the new generation of CN engine which is set for use from 2017 onwards. 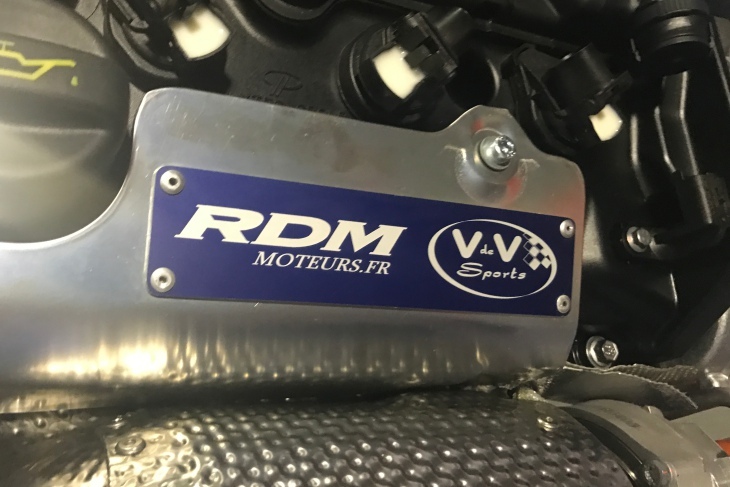 Produced by RDM, it’s a turbo-charged bespoke engine for use in the VdeV Endurance Proto series, which promises to be a significant upgrade over the older Honda engine which has even used since the early 2000s. No teams on site here are using the new RDM powerplant, but there’s interest within the paddock from some teams wishing to upgrade going forward. Also discussed in the presser was the 2017 regulation changes for the VdeV race weekends. In an attempt to renew its interest to gentlemen drivers, from now on all Pro driver time will be reduced. Pro drivers will also not be able to take the start of any races, which is the case across the board in all the series which require multiple drivers per car. The new Michelin tyres being used are also supposed to cut costs for the runners significantly, with the durability set to increase by 30%. Certain categories will also have the amount of sets available to them each weekend reduced.